Is that the wick pick propped up in the bottom of the lamp? Thanks. Just a thought, mebbe the onions are a bit of set dressing. 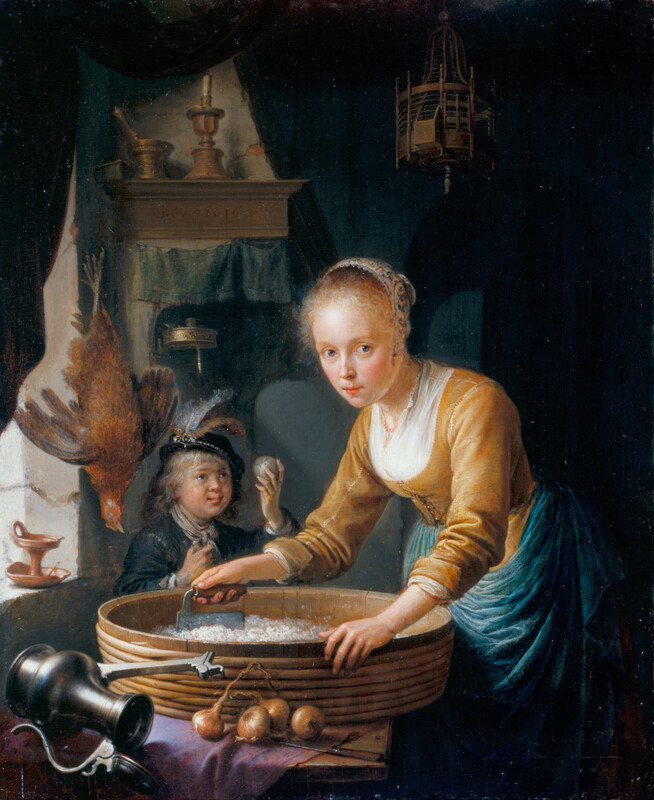 It really looks like she is breaking curd for cheese-making, especially that coopered tub, it shouts dairy. Hmmm, If the artist named the painting “Girl Chopping Onions” It is probably onions?